The Estate Of Brian W. Workman. 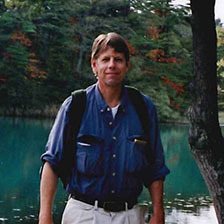 Brian Workman, Shuho (1953-2007) began his study of Hakkoryu in the early 1960′s, eventually becoming an uchideshi living with the Okuyama family at the Hombu Dojo in Omiya, Japan. 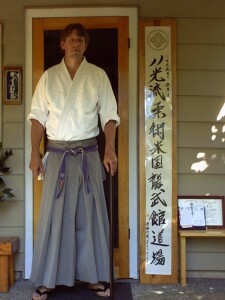 He owned and operated the Hakkoryu Ryubukan Dojo in Portland, Oregon, USA. He began teaching Hakkoryu at an early age and brought several of his students (Ralph Verde, Steven Glaser, Gordon Kiyokawa) to the rank of Shihan who then went on to establish successful dojo on their own. He was considered by many as the ‘grandfather’ of Western United States Hakkoryu and his legacy remains strong today. Beyond his dedication to teaching and his responsibilities as Director of Hakkoryu – West Coast, USA his numerous contributions include several comprehensive magazine articles featuring Hakkoryu as well as English translations of valuable texts such as the four Hakkoryu Higishi (dan) manuals over the years. 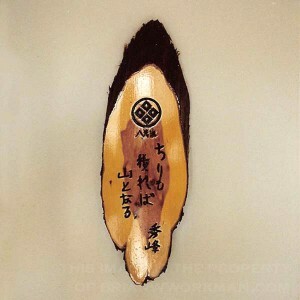 He tirelessly worked at protecting the intellectual rights of Hakkoryu and was instrumental in helping the Hombu dojo to trademark the Hakkoryu name around the world. A plaque engraved by Brian Workman as a gift for a student's dojo. The kanji when translated says, "Even dust when it accumulates becomes as a mountain." If you would like to donate to the Brian W. and Susan R. Workman Scholarship (for Study Abroad), please make your gift online at www.whitman.edu/give/scholarship. Enter your gift amount in the "other" field and use the comments field to designate your gift for the "Brian W. and Susan R. Workman Scholarship." Thank you.